30,000 visitors from around the globe will witness this four-day-long grand event. JAS 2018 to be organized in Jaipur from August 31. 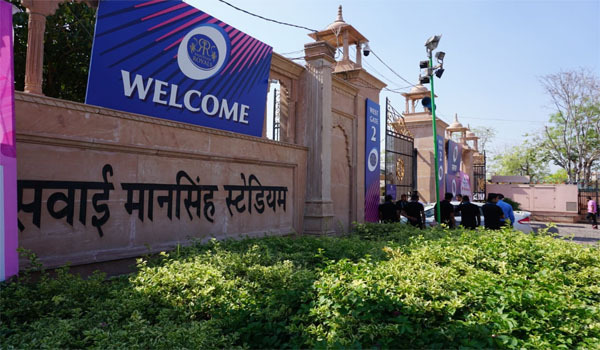 Jaipur: The 12th edition of JAS’18 will be held from August 31 to September 3 at Jaipur Exhibition and Convention Centre (JECC) at Sitapura in Jaipur, according to Sanjay Kala, President of Jewellers association. Kala told media persons on Monday that the opening ceremony of JAS’18 will be held on August 31 at 10:30 am at JECC. It will be inaugurated by chief guest CR Chaudhary, minister ofsState for the Ministry of Commerce and Industry. Industries Minister Rajpal Singh Shekhawat, MLA Ramcharan Bohra, Mayor Ashok Lahoti, Gem and jeweler’s promotion council’s chairman Pramod Derewala with many others will be present in the opening ceremony of this grand show. Jaipur is known worldwide for its jewelry and gemstones. The event will showcase how the gemstone is transformed into jewellery from mines. It will bring together manufacturers, retailers, designers, artisans, wholesalers, and buyers from across the globe to create a unique business environment. It will offer jewellers an opportunity to have in-depth discussions with India’s best manufacturers and to meet many new suppliers in the Gems & Jeweller industry. According to DP Khandelwal, secretary of jewellers’ association, 30,000 visitors from around the globe will witness this four-day-long grand event. For the event, more than 500 big domes (booths) are being set up at JECC. Out of which 300 booths will be for dedicated to gold and silver jewelry, 150 booths for rough and ready stones with rest of the booths for machines and other items. B2B and B2C consumers will be present in the show. Visitors from many countries including the USA, Hong-Kong, Thailand, Japan, Germany, Dubai and China as well as domestic visitors from Ahmedabad, Junagarh, Surat, Mumbai, Pune, Kolhapur, Delhi, Chandigarh, Indore, Ratnam, Bengaluru, Kolkata, Lucknow, Kanpur and Hyderabad will mark their presence in the show as artisans, traders and designers. More than 3000 registrations of the traders from other cities and more than 4000 registrations from Jaipur have been received until now, Khandelwal added. Shuttle services will be introduced for the visitors of the city. Traders from out of station have been given accommodation in luxury hotels of Jaipur. All the facilities will be available at the show. The show will conclude on September 3. Winners, sponsors, traders and will be awarded.